You must stop smoking. Smoking has taken hundreds of lives worldwide through the years. It can destroy your body, kill you, and kill the people around you. You probably encountered these warnings elsewhere and more than twice. Sometimes, way too much repetition lessens the impact of a message. 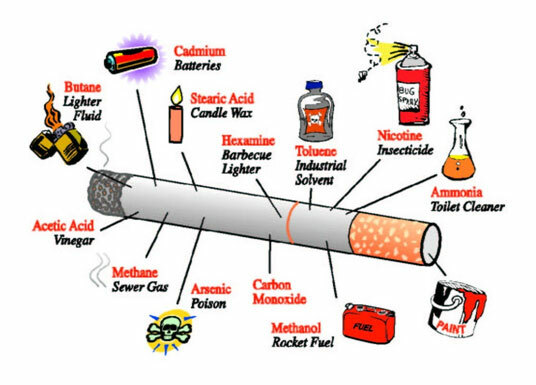 So these are the other reasons why you must quit smoking. Smoking can make you depressed, giving you great difficulty at seeing the good things in everyone and everything. This kind of thinking can cause you to make bad decisions, or not make decisions at all. Smoking also makes you forgetful, making it difficult for you to learn how to think better and making it difficult for you to remember how you dealt with problems in the past that are similar to the ones you are currently facing. All these things can create more than a dozen problems for you and the people around you. Being a problem to the people around you can give you even more problems. Smoking causes your teeth to go yellow. It also causes your lips to become dark-colored. Some smokers even get an extremely bad breath. Smoking alters your DNA, causing you to age early and quickly. Your skin will become ugly and wrinkled. Your hair will become gray. You will be looking older than you really are. You will be looking like a grandparent, complete with the illnesses. Because smoking gives you heart diseases, respiratory disorders, and multiples of other health problems. You will be rushed to the hospital several times, and you will become dependent on medicines to stay alive, like a real old person. The best way to quit smoking is by switching to using e-cigarettes. E-cigarettes make you look like you’re still smoking, but they ensure you no longer absorb all the toxins that are associated with smoking. E-cigarettes do not contain the toxins that cigarettes have. E-cigarettes contain only the best e-liquid that fits your needs and little mechanisms that produce heat and smoke. E-cigarettes will keep you from coming back to your cigarettes because they provide you the nicotine that is the real reason why you’ve been smoking cigarettes uncontrollably. It’s a dose of nicotine without the dose of toxins. Another way to quit smoking is by learning a new musical instrument, meditating, and more. When it comes to ways to quit smoking, there is a long list of things you can try out. Because smokers have tried to quit smoking through the years and they used different ways to succeed at it. You can try every technique you find and see which one works for you, or you can find your own way of quitting smoking. Still, one of the best ways is meditation because it gives you a strong self-control. Meditation can keep you from simply wandering back into the supermarket to buy another packet of cigarettes because it makes you self-aware enough to stop yourself from doing that. The least famous way to quit smoking is by – common sense – quitting smoking. Common sense is not so common, including in the world of smokers. You can simply stop smoking like you stop touching your eyeballs. Unlike stopping in touching your own eyeballs, stopping your smoking is extremely hard, and few smokers succeed at it. If you are strong, do not want to add more problems into your life, and do not want to look unattractive, you can do this. Make sure to be proud of yourself once you succeed at it because quitting smoking in this way means you are rare. If you do succeed at quitting smoking, make sure to stay away from secondhand smoke. Secondhand smoke is deadlier than direct smoke. Secondhand smoke lowers life expectancy, triggers diseases, and creates mental disorders. Also, make sure to not return to smoking all over again. It may seem hard when it happens, but refusing an invitation to take a cigarette break with someone is still easier than the suffering that the habit of smoking can make you experienced. Tell other smokers how you quit and how quitting has improved your life and the lives of the people around you. Next articleHow Does DecaDurabolin Help The Runners?